Whether it’s work, family, or a change of pace that’s drawing you to Allentown, Simonik Moving & Storage would love to help you get there—on time, under budget, and with absolutely no stress! A professional moving company since 1977 and a longtime BBB-accredited business, we’ve guided thousands of individuals and families through the process of moving from NJ to Allentown, focusing always on delivering exceptional customer care from door to door. 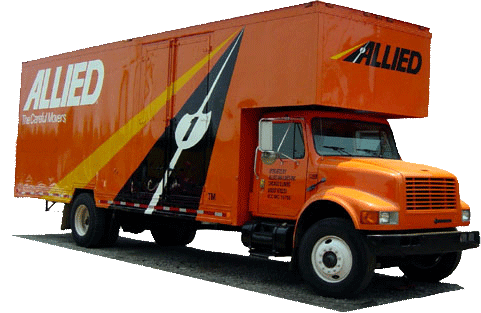 Moreover, because we’re an award-winning agent for Allied Van Lines, we bring more than just our own expertise; we also have the backing of Allied’s nationwide moving network, letting us tackle complex household moves anywhere across the United States! Moving to Allentown from New Jersey is no small feat, and it takes a team of dedicated professionals to get you there with minimal hassle and expense. At Simonik, we guarantee an easy, stress-free experience because we’re equipped to handle every need that could possibly arise—no matter how challenging or complex. Starting with an in-home moving cost estimate and continuing with the help of a skilled Relocation Coordinator, we’ll make sure all of your needs are met with our top-notch moving services. Whether you prefer basic help or white-glove support, we’ll tailor a plan that fits your budget and your expectations! Here at Simonik, we know that a move takes time; it doesn’t necessarily end as soon as you arrive at your new front door. In fact, it can take months before you feel comfortable in your new environment and want to truly settle in! If you find yourself wanting a little extra time before finishing your New Jersey to Allentown move, all you have to do is let us know. We’ll pack your household belongings in special long-distance shipping containers and then store them in our highly secure warehouse facility. We’re here to make your life easier, so no storage period is too short or too long! We’re proud to offer our outstanding moving and storage support to households across North and Central Jersey, including Hunterdon, Mercer, Middlesex, Monmouth, Morris, and Somerset counties. Wherever you call home, you can expect only the most reliable service while you move from NJ to Allentown with Simonik! A ProMover member with the American Moving and Storage Association and a past recipient of the “Mover of the Year” Award from the New Jersey Warehousemen & Movers Association, we stay apprised of the latest long-distance moving requirements and pledge to provide dependable, customer-first services every time. Call Simonik Moving & Storage today to learn more about our diverse moving expertise, or fill out our online quote form now to request your free estimate for NJ to Allentown moving!